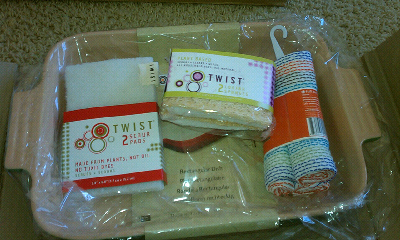 I was so happy when I received my package from My Blog Spark. It was quite unexpected. When I received it, I opened it right away and was excited to see what had come. 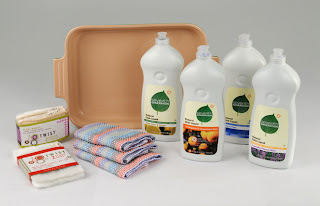 4 Full size Seventh Generation Dish washing liquid, a baking dish from Le Creuset, 2 Loofah sponges, 2 scrubbing pads, 3 organic cotton dish towels! WOW! 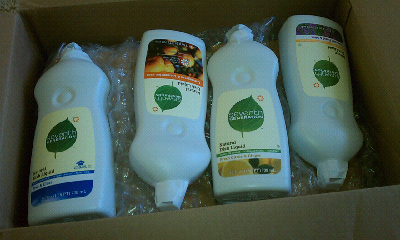 I was excited to start using the liquid soap (even though Hubby just bought a big bottle of soap from Costco). My favorite of the four is the Citrus & Ginger scent. I'm not always happy to do dishes, but with the new scents that clean the dishes and fragrance the room makes it easier to tackle the chore! Sign up for Seventh Generation Coupons here. 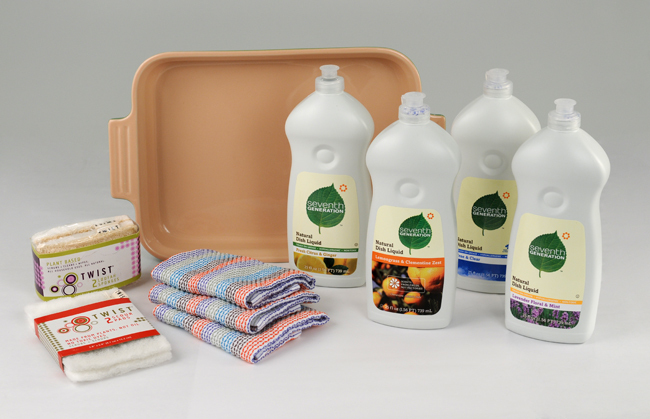 You too can win you own Seventh Generation Natural Dish Liquid Prize Pack. Easy: I let the dishes soak for a while in hot soapy water before I wash them. Fun: All of my blooming plants outside of the kitchen-sink-window, bird feeders and flitting hummingbirds outside my window in the day, lights twinkling on the mountain in the distance in the evening. I haven't found a way to make cleaning the dishes fun yet... I would just buy a dishwasher if I had the space! Great stuff to read. Good sharing. Thanks. I really dislike doing dishes, dishwasher can make it less painful. I make my husband do the dishes if possible. If not, then I put the kids in their chairs, give them candy and sing along with some YouTube videos. Dishes are my least favorite chore! Fo sho. I just try to get my family to get the dishes washed or put in the dishwasher right away before they pile up in the sink.